Candleman: The Complete Journey, an indie 3D platform game made by the Beijing-based studio Spotlightor Interactive, recently launched on PC (Steam) after debuting last year on Xbox One. So far, the game received 97% positive user reviews from the community. Candleman: The Complete Journey is one of the best indie platformers I’ve played in some time. Certainly, one of the best 3D indie platformers. Candleman mixes clever mechanics, varied level design, and a whole lot of charm to create an experience that’s guaranteed to light your fire. Given that this little indie gem seemingly came out of nowhere, we reached out to the developers for a brief Q&A. Here’s a transcript of our chat with Producer Gao Ming. What was your inspiration for the basic concept of Candleman? In my first Ludum Dare Game Jam, the idea of “ten seconds of light” hit me when we heard that the theme was “10 Seconds”. I created this core gameplay of searching in the dark with limited amounts of light. The character design was then based on these characteristics, giving life to the concept of a small walking candle. The idea didn’t change throughout years of development following the competition. We’ve seen a PlayStation 4 announcement trailer on the Web, though there is no press release yet. When do you plan to release this version globally? 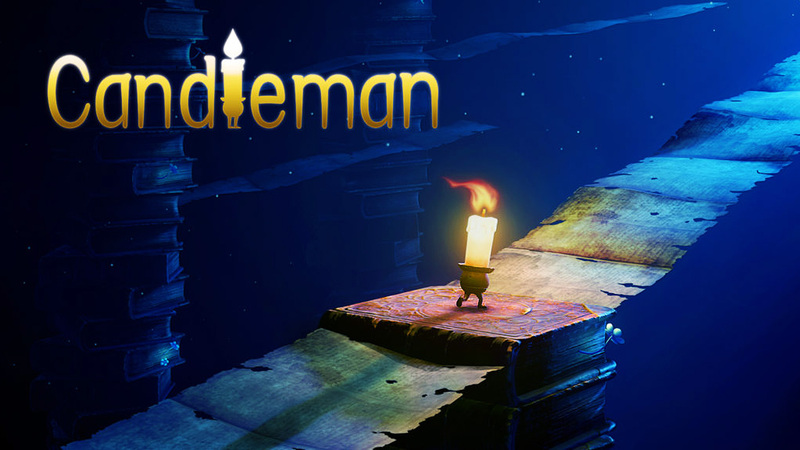 Candleman: The Complete Journey is now available on PlayStation Asia’s digital store. We look forward to launching it globally in the first half of 2018. Are you going to use the power of PlayStation 4 Pro to deliver improved visuals and performance? Yes, we are already working on optimized visuals and performance on PlayStation 4 Pro. If so, can you share the technical specifications (native resolution, frame rate, settings etc.)? Our plan is to support 4K 60fps. Likewise, while the game is already available on Xbox One, do you have plans to enhance it for the Xbox One X with 4K visuals? Yes! That is part of our plan, too. If so, can you share the technical specs of this version too? As with the PS4 Pro, we are aiming for 4K 60fps. Are there plans to further expand the game? The new time trial mode is fun, but a remix mode that changes the location of candles would also be great. Only 30% of our original Candleman content made it to the final game. We designed quite a few interesting levels, but many of them were abandoned because of the difficulty level or other reasons. It’s a pity but these choices were made to guarantees the flow of the game and give our players the best possible experience. If the game sells well we can consider releasing these levels as DLC, perhaps to provide a higher degree of challenge. Do you plan to release the game on Nintendo Switch as well? Yes, we look forward to launching it on Nintendo Switch too. The length of the game is perfect for handheld gaming consoles like Switch. With all the sudden interest in Candleman, will your next project be a sequel or something else entirely? Our Candleman story is completed. We consider it to be the right amount of content for this standalone fairytale. Our next game’s concept has surfaced. It will be something completely different. Yet it will still be creative regarding the gameplay, and with a strong focus on storytelling.